This month DK has launched the exciting DKfindout! – the only online encyclopedia you’ll ever need. And to celebrate we have two sets of five Eyewitness Guide books to give away. Packed with amazing facts and images, you can use the website for homework and project assignments as it covers all the key subjects you learn at school for Key Stage 2: from science and maths, to geography and history. With lots of sound, video animations and fun quizzes, it’s not just about doing your homework, it’s fun too! 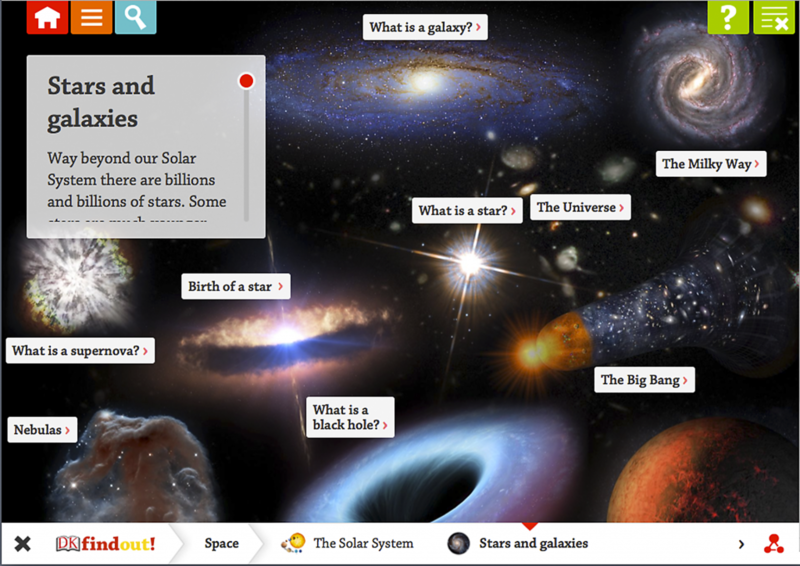 As well as school projects, you can use it to look up anything you’re fascinated by, from Dinosaurs and Sharks to the Ancient Egyptians and the Solar System. Plus we’re adding lots of new pages all the time so there’s always something new to discover. www.dkfindout.com is a great place to find out everything you need to know – have a go for yourself! Two winners will each get a set of five Eyewitness Guides from DK, as shown. Lots of options via the Rafflecopter below. Do as many or a few as you want. Two winners so double chances! This giveaway closes at midnight on Monday 2nd March 2015. My two boys would like to find out if there are really aliens or other life forms out there!? I would love to find out more about Egypt! Anything about Space, I’m totally fascinated by it. My son wants to find about the human body, and the processes what keep us alive. we would love to find out more about ancient Greece. My son loves finding out information about space at the moment. Great prize. My kids love DK books and these will help with their homework! All about Mummies – the embalmed kind… love ancient Egypt! The Ocean, so much to learn – it’s another world under the sea. would love to find out more about ancient egypt – my son seems to be a bit obsessed by that era. Thanks for an additional useful site. Wherever different might I receive that kind of info designed in this kind of best means? I own a task that I am at the moment concentrating on, and I’ve been in the look available with regard to similarly info. My daughter would love to learn more about space, she’s really interested in it just now. My daughter is learning about Ancient Egypt at school so this would be great for her. I’d to find out loads about the Ancient Greeks! It’s a favourite subject of mine! Ancient Egypt is great! How did they build those pyramids! Capitals of the world and cities. I love learning about space and time! Would love to learn more about the human body. My daughter would look up all the different countries she is loving the world and how different the countries are. We love finding out about the stars and space! My son will want to find out more about the ancient Egyptions. My son would like to learn more about the ocean. I’d love to learn more about the topics my son does at school. I’ve forgotten everything! My little boy would like to know why whales are so big. both of my kids would find all of these books useful with schoolwork, however the human body one would be great for learning about growing up. My youngest loves Ancient Greece. I need to learn more about astronomy and space in general. I’d like to find out more about British history.